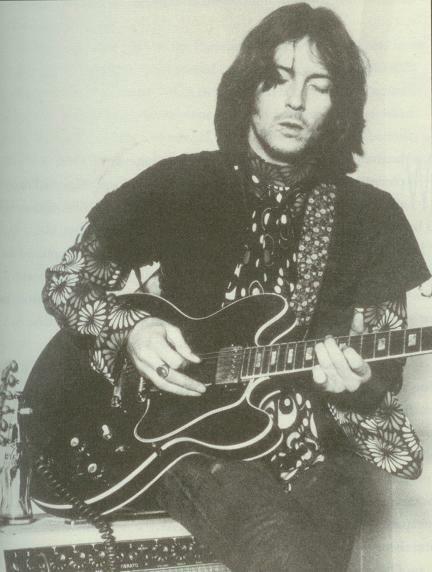 Here’s the real Clapton 335 before he changed the knobs (and probably the tuners). I used to have the same strap definitely not the shirt. Even though Alvin Lee (Ten Years After) played a red 335, this post isn’t about him. It’s about the now more than ten year old “Crossroads” ES-335. In 2004, Eric Clapton’s 64 red block neck was sold by Christies Auction house for $847,500. The folks at Guitar center who bought it hyped it mightily as the “Crossroads” ES-335 even though most believe that the recorded version of “Crossroads” was played on an SG. Sounds like an SG to me. 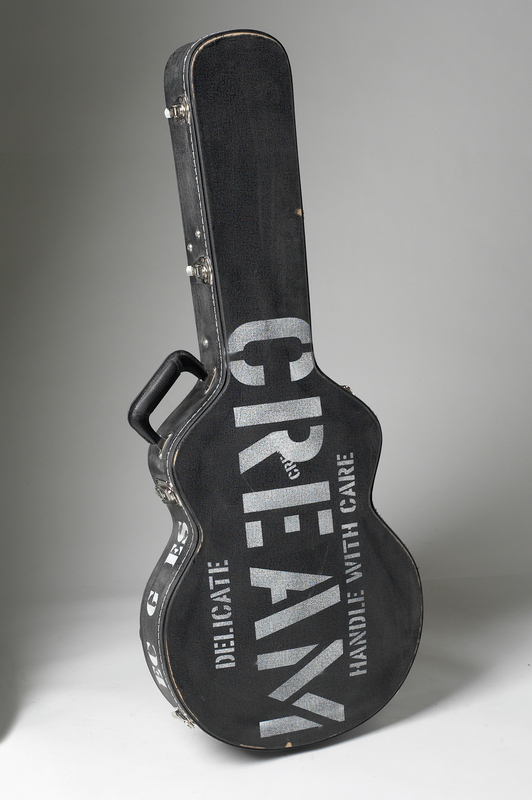 In any case, the guitar was used as the basis for the “Clapton” Crossroads Reissue. That was nearly 11 years ago now. It’s interesting that the iconic guitars of these 60’s masters weren’t even this old when such great music was played on them. If “Crossroads” had been actually played on that 64 ES-335, it was not even four years old at the time of the Winterland Ballroom show in San Francisco (although we all grew up thinking it was The Fillmore). Now the Clapton reissue is close to eleven years old and since I have number 25 of 250, I thought it was worth another look. 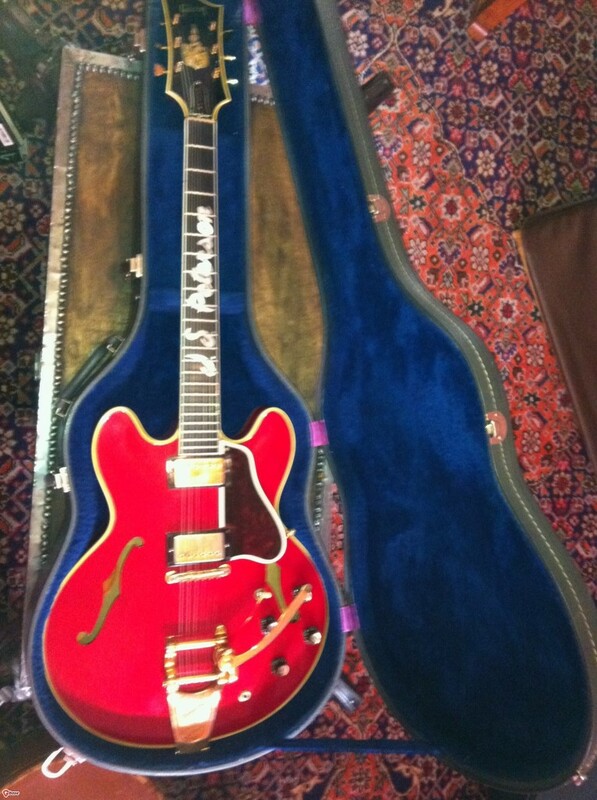 I first played a Clapton 335 in 2006 when a guy who was buying a guitar from me brought one along for me to check out. Immediately liked it and felt that it captured the look and feel of the real thing. 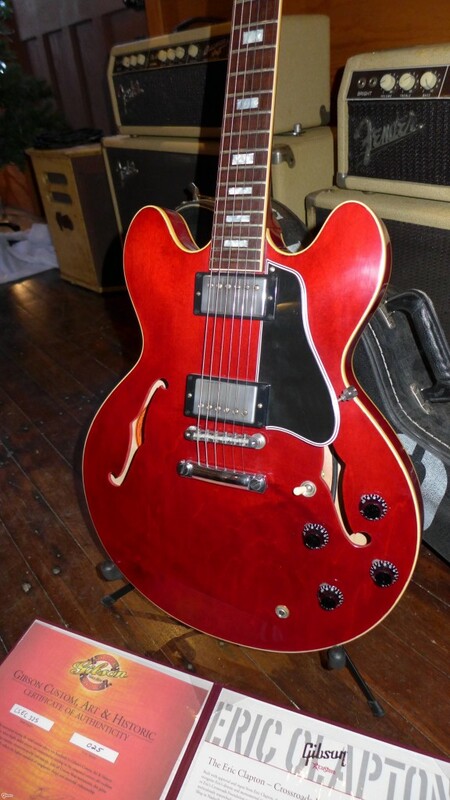 I had a lot less experience with vintage 335’s at that time but I had been buying and selling them for awhile on a very small scale. I would buy and sell 6 or 7 guitars a year from 1998 or so until 2010 when I really started getting serious writing this blog and buying 50 or more a year. I’m going from memory here but I recall a couple of things-I thought the guitar looked particularly authentic. And I thought it played great and sounded quite good. Gibson, until recently, hasn’t been able to get the body shape right (MM ears and later pointy ears). I still contend they aren’t quite there but they are close. Interestingly, these Claptons are almost dead on. I had #25 next to a real 64 on the “A” rack in my shop and a potential buyer came in to play the 64 and I inadvertently handed him the Clapton. I realized I had done so before he took the guitar from me (I noticed the Grovers and knew I had erred). But I gave it to him anyway just to see if he would notice. He didn’t until I mentioned it. He really liked the guitar and I have to agree with him. The rumor is that the guitar bodies were built by Terada in Japan. If so, kudos to the Japanese-they got it right. 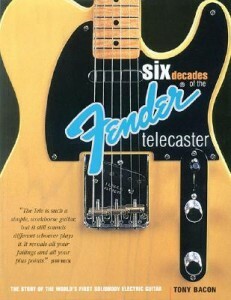 The body is right, the neck is right, the bindings are darn close, the pickup covers are screamingly wrong. Wrong? Yes, Gibson doesn’t seem to be able to get the pickup covers right. They’ve been reissuing 59 335’s for 35 years and they still can’t get the covers right. That aside, the feel is right. It would be even better if folks would actually play these guitars and get a little real player wear into the mix but they seem to be more popular with collectors than they are with players. I get that. They were expensive in 2005 at $12000. They have held their value relatively well but are still expensive and they certainly haven’t gone up in value. But when you look at the street price of Gibson’s top 335 reissue now at $6000+, maybe the Clapton cachet and playability isn’t such a bad deal. If the new reissues are equally good at $6000 and a Clapton will cost you $10,000-$11,000, is it worth the extra $4000 or $5000? I think it is because in 10 years, a 59 reissue is simply going to be a 10 year old reissue that they will probably still be making and it will probably cost a few thousand more. The Clapton will be 20+ years old and still be a limited edition of 250 with EC’s autograph. It will likely be worth at least what it is worth today. 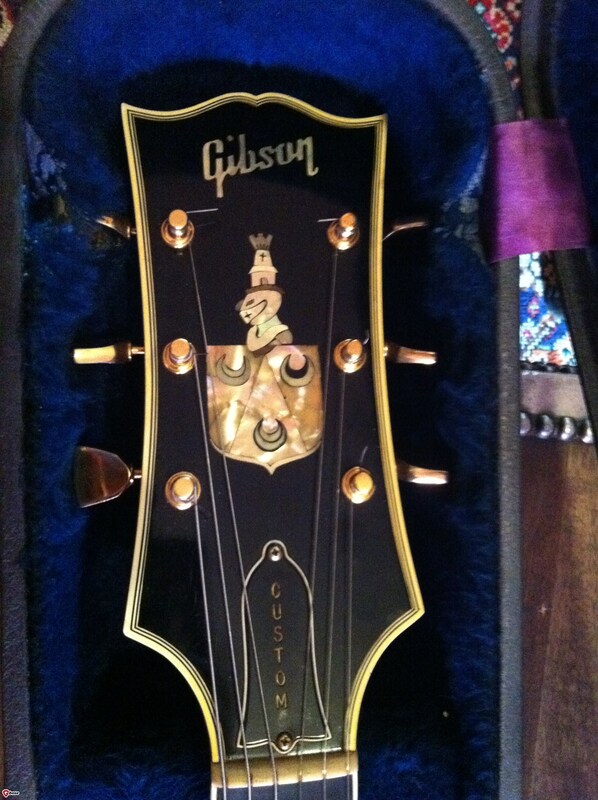 I don’t think it will matter if it sits in the case for the next ten years or you play the crap out of it. It will still be what it is and you’ll probably enjoy it a lot more if you play it. Lastly, I’ll mention the tone. While the playability and feel are very close to a 50+ year old honest to god 64, the tone is good but not quite the great tone of a 64. Maybe in another ten years, it will be there. 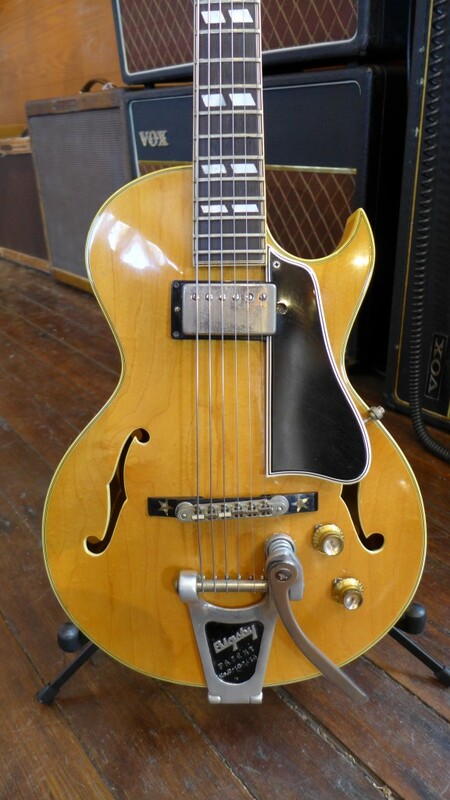 If I was really, really curious, I would drop in a set of 64 pickups just to see how it sounded then but collectors are funny about certain things. If I break the original solder in order to try a set of early patent numbers, somebody is going to be unhappy when they find out the pickups have been out. So, it will stay as is and I will continue to enjoy playing it until somebody comes and buys it. Don’t even ask about the case. Not vintage yet but on its way. 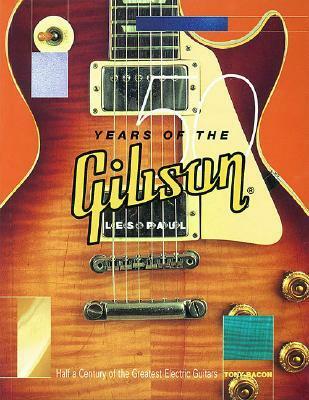 Even if Gibson simply called it a 64 reissue, it would be a really good guitar. Unless British exports got a totally different case (or he changed it out), the reissue case is nothing like a real 64 case. It’s a perfectly good case but it if I got a vintage 64 in this case, I would make a stink about it.